However people got the equation into their heads that lower winegrape yields equal higher quality wine, it’s certainly a formula with staying power. But up in the Pacific Northwest, Patty Skinkis is doing her best to dispel the persistent myth, and in so doing, she’s helping growers boost profits. Don’t get her wrong. 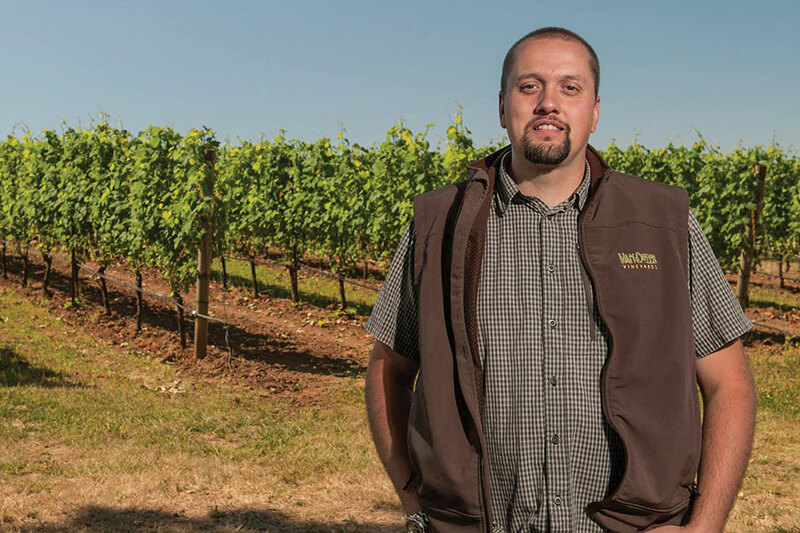 An Associate Professor and Viticulture Extension Specialist at Oregon State University (OSU), Skinkis realizes the value of crop management. But growers can overdo it. Growers aren’t the only ones who buy into the low yield/high-quality myth. Skinkis guest-lectures on viticulture to a basic horticulture class at OSU for students of all majors. One day, just out of curiosity, she informally polled the class on the issue. But as a scientist, Skinkis knew it wasn’t absolutely true. Curious as to where the myth came from, her research led to France where growers limit yields not so much for quality but to restrict production. “When I first arrived in Oregon, I couldn’t understand why they were planting like crazy, but were then thinning so they wouldn’t produce so much, which made no sense,” she says. Ted Casteel was a pioneer wine grower of sorts in Oregon, as he planted his first vineyard in 1978. 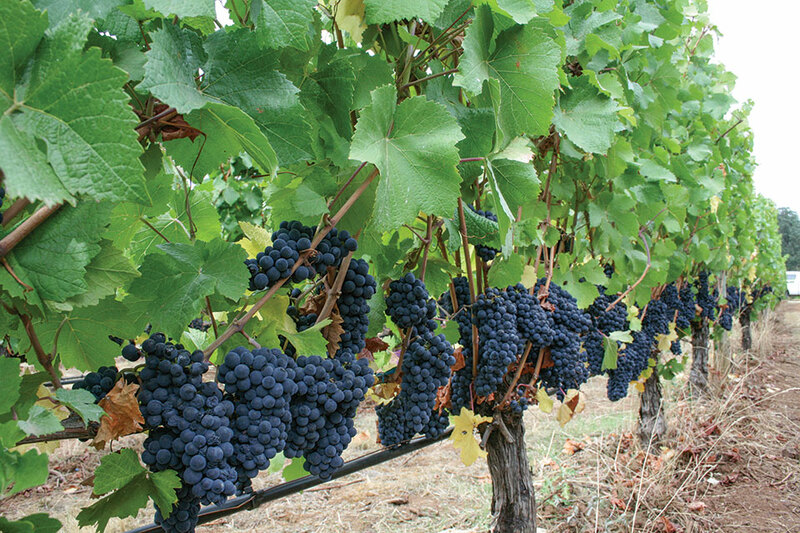 Back then they didn’t do any thinning, but Casteel learned the dangers of over-cropping early on, as the 1984 crop came in at four tons per acre, and a lot of growers couldn’t get over 18 Brix, far short of the preferred 23-24 Brix harvest level. That 1984 vintage led growers ― a collaborative bunch in the state’s famed Willamette Valley — to more seriously investigate thinning, as they weren’t interested in producing bulk wine. While they needed to thin and were not exactly sure why, many growers tended to over-thin. That meant they were leaving too many profits behind and making wines that were too high in alcohol and tannins, Casteel says. Today Casteel farms 100 acres of winegrapes at his Bethel Heights Vineyard, located near Salem, in the heart of the Willamette Valley. To say he has been satisfied with Skinkis’s research is putting it mildly. 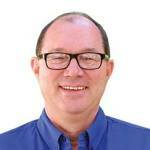 Skinkis immediately embarked on yield management trials because the industry was so keenly focused on yield. It was understandable, as the state’s ‘Pinot Noir’ growers are focused on top quality, seeking ultra-premium wine prices. The initial crop-thinning trial began in 2011 and covered two sites, one in the Willamette Valley and one in Southern Oregon. So she stepped up the trials in 2012 with a core group of growers and winemakers who wanted to get involved. There have been a total of 24 growers in the years since, with 10-15 participating in any given year. It’s a significant time commitment for the growers, as besides carefully monitoring cluster thinning, they had to do the data collection. Growers had to pick two to five crop-thinning levels on a cluster-per-shoot basis. They began noticing the difference. Then they make the wine. 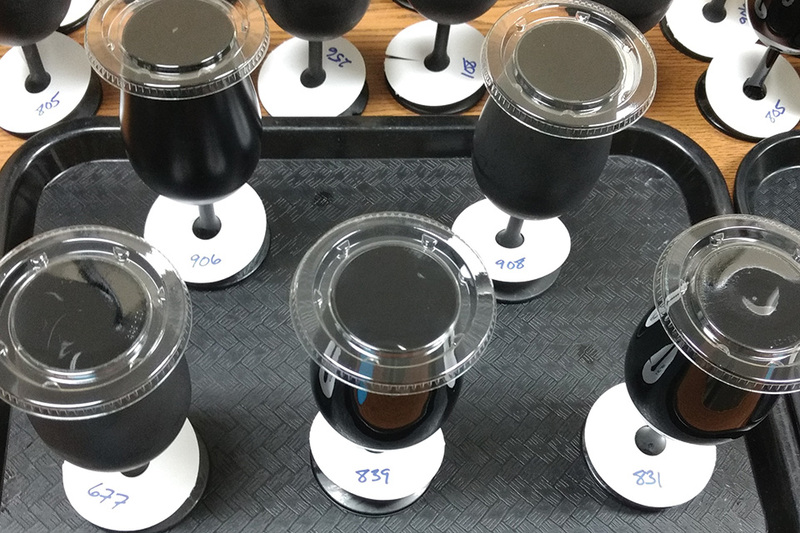 After two years of aging, which is generally the age when consumers get ‘Pinot Noir’ in the marketplace, Skinkis takes the bottles and does sensory analysis. Her colleague Elizabeth Tomasino, Ph.D., an Associate Professor at OSU’s Oregon Wine Research Institute, has been running wine tastings since the first vintage in 2012. Interestingly, the differences in quality from the various treatments weren’t nearly as great as even Skinkis expected. And they certainly don’t justify leaving so much fruit behind. Growers have taken the results to heart. Besides the myth that lower yields equal high quality, Skinkis has been able to disabuse growers of the notion that smaller crops ripen more quickly. As might be expected, with the yield/quality myth so pervasive, Skinkis got a lot of pushback from winemakers at the beginning. One winemaker who appreciates the research is Florent-Pierre Merlier of Van Duzer Vineyards in Dallas, OR. Though he’s quick to note that he hails from Burgundy, which is not so tied to the yield/quality notion as those from other parts of France, such as Bordeaux. He says such research is unusual in the world, especially the way it’s been done. There has certainly been a lot of crop load research, but it was not over such a wide region with so many wineries involved. Like Skinkis, Merlier was also surprised by the lack of effect lowering yields had on quality. Merlier also notes that from the very beginning the project has not been just about the vineyard, it has been about the winery. It’s the research on wine production that makes it interesting, he says, as that’s where it counts. Skinkis appreciates the winemakers’ participation in the project because it challenges their long-held belief in the yield/quality myth. But those wineries who have participated and learned their lessons have certainly benefited. In sum, Skinkis says vine health and how you manage that vine will have more impact on quality than the yield will have. She hopes that in a few more years she can give actual numbers for guidelines. For now, she recommends growers think in terms of pounds per linear foot, not tons per acre. Vines have a huge capacity to adjust on their own, Skinkis says. If you have a distressed vineyard, you have lower yields. If healthy, you have more yields. Manage each accordingly, as there is no one standard situation. The research project has generally been a huge success, although she says it’s important that all the ramifications be fully understood. 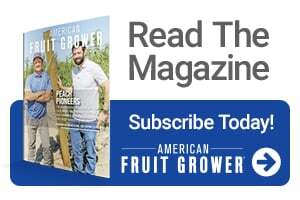 In the past couple of years, she says her work has started to attract the attention of growers around the country, but a lot of them get it misconstrued.